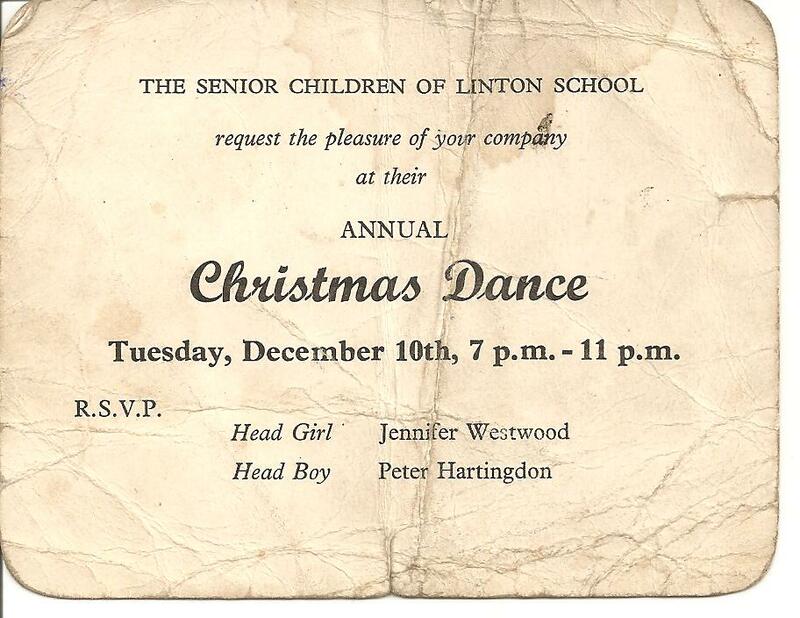 Peter Hartingdon and Linton School. The latest planning application is now in at the Yorkshire Dales National Park planning portal. The proposed development is for a 45 room hotel and some self catering chalet style apartments. Public consultation period ends on the 7th February with the final decision to be made by the 25th February. If you wish to make your comments known, you will have to be quick. Then put the above application number in the search box. All the plans and drawings are there with various reports supporting the application. The proposed development is for a 45 room hotel and some self catering apartments. the 25th February. If you wish to make your comments known, you will have to be quick. Then put the above application in the search box. courtesy of that man about town, Mr Roy Booth, entitled "The Journey". This is the entrance to the school as it is now. We should take heed of the sign. The site is private, and dangerous. There is a useful group on Facebook that can be seen by clicking on this link. There are almost 200 ex pupils and some staff who have registered, and the page is useful for discussions and information about Linton Camp, including details on forthcoming Linton related events, and reunions. It is an excellent tool to gain information about the school, and to share memories. You will need to have a Facebook account to access the Linton Group. Just been on your website for Linton Residential. I just thought I would commend you on the site. I have noticed that you are bringing it more and more up to date. I was at the school from 1973 – 1976 and I recognise quite a few people on the photographs my Maiden name was Clark and I went out with Norman Goodall from 1974 – 1978. We lost contact after that but he managed to locate me through Friends reunited. One of my most vivid memories was Mrs Robson teaching us girls ballroom dancing for xmas and also when Sir Fred Truman came to the school dance and managed to stand on my foot, least he was a better cricketer than dancer lol. I think you may find that the majority of pupils during the 1970s would agree they were the best years of their lives. I can’t help but notice there is no mention of Mr and Mrs Lloyd, Mr. Ramsbottom. Of the pupils that I do remember there is the Goodall brothers, and an incident when David managed to fall down Kilnsey Crag much to all our horror. The summer of 1976 was the best not just for the weather! I also remember the camping trip we were taken on and singing to all the songs (lol if you could call it singing). I have eventually spotted myself on one of the photos of the girls outside the dorm painting I am the one with very curly hair (spent years trying to straighten it). I remember Mr Mckenzie very well, and was only talking about him to Norman Goodall the other day, when you have contact with him please pass on my kindest regards and thanks. I was very interested to come across your web site relating to "Linton Camp" and it brought memories I had long forgotten flooding back. I was sent there age ten as an evacuee at the beginning of 1940 from Bradford. The last time I saw the camp was when passing in the car about 1995. 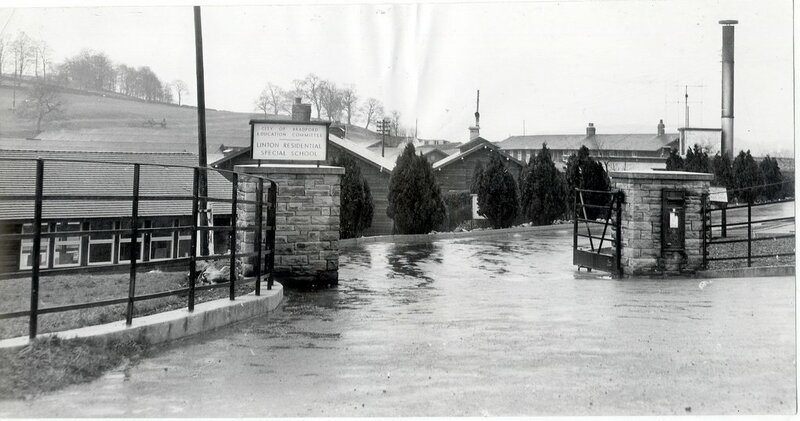 My father moved from Bradford to a new job in Sheffield around Sept 1940 so as this was outside the catchments area I had to leave Linton after only four or five months. 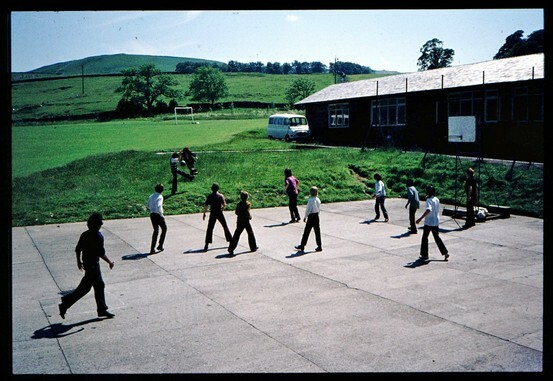 I can basically remember the layout which was very new as I believe the camp had only just been built when I got there and my recollections were of only one block of four classrooms where we took turns at lessons for I believe 1/2 day at a time. My dormitory was the first building in the row nearest the playing field and I remember it as one large room with double bunk beds, all very basic. Some days the staff took us down to a river where we could hunt for small fish and crayfish in the shallows. Funny how your mind is triggered to these forgotten memories. My Dad came to visit once a month and on the day he came to collect me for the move to Sheffield, he took me for tea to a farm which we used to stay at for our holidays pre-war. It turned out to be only about three miles from the camp at Skyreholme and if I had known that then I think my time at the camp may have been happier, me being very homesick. I would very much like one of the DVD''s of the camp and I''ll send the necessaries in the post with my address (still in Sheffield). While sorting out my loft last night due to an impending move, I found an old photo album of perhaps 20 or so assorted Linton School photos, not best quality, but I notice that you are on a couple! They seem to be a mixed back of snaps from around 1959/62, the time when I was at Linton. Do you want me to send it to you? You can hand it back to me at the next reunion. A kind lady who was head cook at Linton for a time has sent this recipe for EGGY BREAD. As for the ''Eggy Bread / French Toast'' I have the recipe for 120 portions in my large scale recipe book! Basically it''s about 1/2 egg per person but some might want more. Beat 1 egg with 1 fluid ounce of milk. Season with salt and pepper. Dip slice bread in and turn over. Don''t leave long as it will disintegrate once wet. Fry both sides and drain. Thank you Peter, got DVD really well done had me in tears! Hi Peter, Helen Chippendale- James commented on Linton school (Grassington)'s Wall post. Helen wrote: "Article Title 15, Crosscountry Championships photo number 3rd one down. I have used the photo as profile pic. Thanks you passing on our regards. Don remembers him, (Ben McKenzie) as one of his best teachers." Thanks very much for the DVD, it is fantastic, seeing the place as it is now had me crying! Really very well done. This will be our new prize possesion! 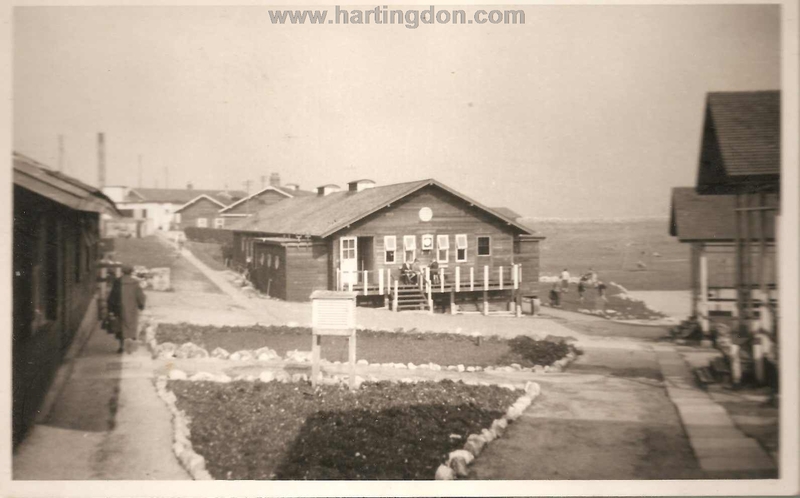 Mr father went to Linton Camp School aged 10 around 1942/1943. He was reminiscing recently about his time there and asked me to look on the internet to see if there were any photographs or records relating to the school. I therefore came across your website and was hoping you could point me in the right direction for obtaining any attendance records for the school. Interestingly, my fathers story is very similar to the "personal story" on your website and he does hold vivid and fond memories of his time at Linton Camp School. My name is Sue Chesters nee Keen, in 1964 I attended Linton Camp for a period of about 18 months, I was 7 yrs old. I must say my time there has left a lasting impression on me. I loved my time at Linton and look back with found memories of long lazy summer days playing at the bottom of hill Bolton with my friends, Katherine Khan, Marion Dobson and Elaine King. I, to this day have love for the beautiful countryside around Grassington. I was moved almost to tears on Sunday when I visited Grassington with my partner Richard and discovered that, although derelict, the camp is still there. It was raining but I got out of the car and slipped inside the grounds through a broken fence, the site was awesome. I could almost hear the screams of joy as we climbed inside a big tyre and went careering down the hill. Health and safety would certainly not permit that hair raising activity today! You are probably well aware that Grassington Festival takes place next week for 7 days, one of the many attractions is a theatre group who are putting on an onsite show/experience about Linton Camp and it’s history. I am hoping to go next Saturday evening to one of the showings. I will be sending £5 to you for a copy of the DVD that you have produced, I saw the clip on your website and it looked good. Keep up the good work, keeping the memories alive of the place that changed so many lives, mine for the good! So sorry to hear about Mrs Robson only saw her two years ago down by the stepping stones remarkable lady I was at Linton till 1984 and was there for about 5 years, best years of my life. I learnt a lot. Mr robson just left when I was there Mr Pickering took over.I have been trying to find photos when I was there but have not got anywhere.i have similar photos to what you have. Its good to know the way you were then to when I was there it was the same..I have realy good memeroies and stories but havent met any one from the school since I left. I slept in same place a you in dorm 4 we were allowed to make coffee when we got to that room wich was a big privalage. I can remember going to Grassington on a Saturday morning on my own or with the lads, great! I have always wondered what would happen to the school I think it should be a summer camp for children with problems as I know they would benefit.If you do hear of anybody from my years I would like to get intouch any way the reading was great oh by the way I used to run for the fastest sledge. Once a week we had films/pictures in the hall. The Headboy and Headgirl always sat on the stage, with staff. In the same hall just near the tuck shop stood a massive pot bellied stove. 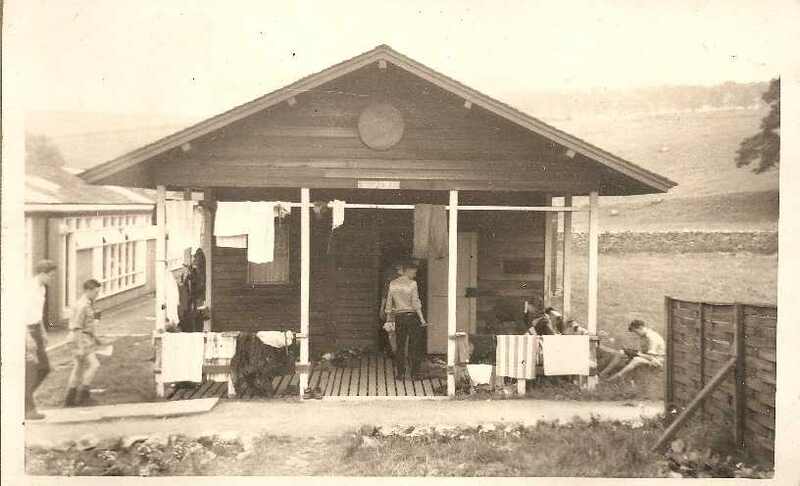 A welcome site on arrival after playing out, and outside stood the drinking fountain, adjacent to the hall, Anyone wetting the bed stood outside ready to go to the laundry, and then a trip to the clinic for nurse wilsons remedy. Senopods, yum, oh god that drink was disgusting, but the same people day after day were always in the line -up for the laundry, so you see it never realy worked. She just liked to see us cringe when she brought out the bottle, god bless her boots, What great times, lovely staff, and plenty of good kids. Once a week stock take, we had to get all the stock shoes and boots out, polish them and place them beside our beds, ready for Mr Sternwhite, headmaster with a short crew cut, believe me, one couldnt wear these as most of them had been repaired, and weighed a ton, just like deep sea divers boots, but some of the girls and boys had nothing else. I wonder what their feet are like now, crunched up with toes missing i''ll bet. I was sorry to hear about some persons misfortunes at linton camp...yes we got caned or slippered, and sometimes by cheeseys big hand, always on the bottom. Most kids were happy as there was always plenty to do, we used to have to earn a RED DOT, which enabled us to go into Grassington by oneself, there was a sweet shop in Linton Village and we used to sneak over the wall next to the rabbit hut, behind dorm 6 [a bedroom for the girls] and spend our money, the shop is now a house. Goodness I could write a best seller about this great school, all the staff were the bees knees as far as I was concerned. Thanks for the copy of the DVD film of Linton Camp which I greatly enjoyed. I think you do yourself an injustice regarding the quality of the production which I thought was very professional. The ex pupils of the camp whom you were interviewing were obviously of a later time in the life of the camp than when I was there. Do you know if there are any other ex inmates ( in the nicest sense) who were from my era, i.e. 1940 who are still around. I have read a copy of the book "A Girls War" by Doreen Lehr where she mentions a German boy by the name of Kurt Asch who was at Linton. His is the one name I remember from my time there as he was in the next bunk to me. For some reason I had always remembered his first name but the book triggered the surname to me. I suppose his name stuck where others didn't because non of us kids could understand why a German boy should be there at the camp. If their is ever another reunion planned at the camp I would be very interested in attending if only to be able to look around the camp once more as the only time I was passing some years ago it was obviously locked up and no access was possible. Please let me know if another reunion is ever to happen.